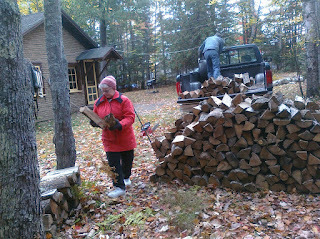 MW Mobile Blog: Camp Notes: Woodpile restored. 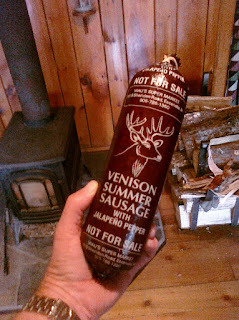 As well as the bonus venison sausage. 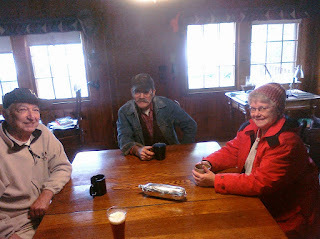 Dale and Sandy stop by for a visit. 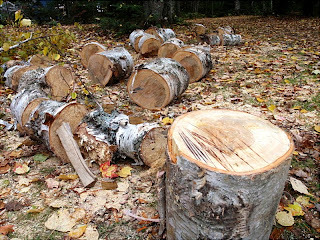 Each of these one minute cuts with the right tool took 30-45 minutes of hard labor with our baby chainsaw. I'll split a few of these, but will leave some for future visitors to enjoy. You'll find them in the shed.